Today was a very exciting day for Columbus Figure Skating Club. Alexie Mieskoski and Livvy Shilling dominated the Senior Ladies Freestyle event, taking gold and sliver medal respectively. Also congratulations to Lindsay Ream for her the 9th place finish in this event. Also an amazing job to all CFSC skaters that competed their short programs today! Ani Kahaian (9th), Cienna Baka (18th), and Kamryn Keller (19th) performed wonderfully in the Intermediate Ladies Final SP! Nekoe Baumgartner finished 8th with an amazing skate in a tough group of Novice Ladies Final SP! 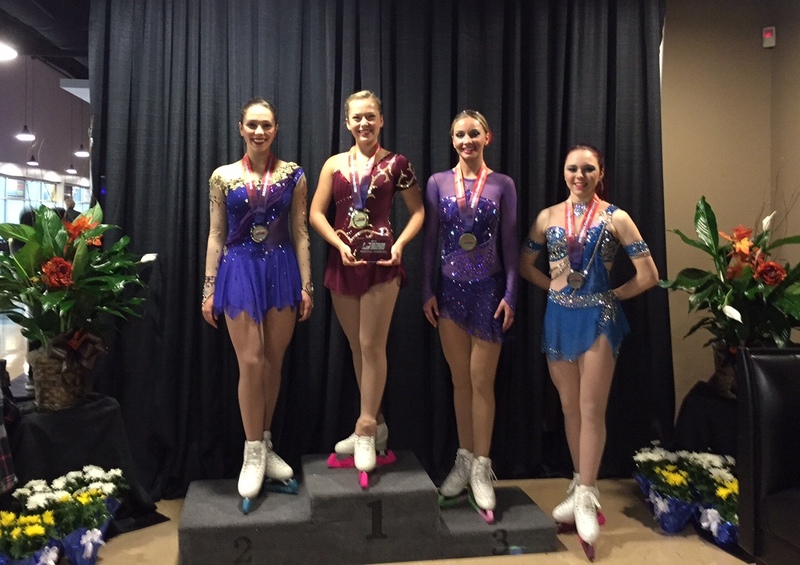 Rebecca Dashevsky (4th), Jackie Tu (5th), Vivian Chen (8th), and Rachael Bachman (15th) all had fabulous skates in the Junior Ladies SP Event. Congratulation to Alicia Deng who placed 2nd in Pre-Preliminary Group A. Good luck in finals. Pheobe Anderson placed 4th, missed finals by one place. Serya finished 8th in Pre-Juvenile Group D. Great job girls! Non-qualifying events will continue tomorrow. Dream big, skate great and have fun! This entry was posted in Uncategorized on October 19, 2015 by Columbus Figure Skating Club.